So, you wanna teach in Spain, but how do you do it? Where to apply? How will you prepare? And most importantly.. How much will it cost? Last spring, I made a quick decision to move to Spain in August. I knew I wanted to teach, but I didn't know much about my options. TEFL (Teaching English as a Foreign Language) courses were something I had heard about, so I figured that would be a good option. Once I arrived in Spain, I learned of many different programs that bring North Americans over to teach. We each came up with a list of questions and interviewed each about our routes to become teachers in Madrid. We covered the good, the frustrating, the expensive and the rewarding parts of our programs. Scroll down for the buttons that link to all four interviews! I interviewed Candice, a good friend that I met through nights of multicultural volley here in Madrid. Candice is originally from St. Louis and recently graduated with a journalism degree from the University of Illinois. She blogs about travel, homemade pad thai, the latest television series and how to dress for an occasion. Check her out at the Gilded Nomad. What made you decide to teach in Spain? I’ve known that I wanted to live abroad at some point for a while, and the period following my college graduation in May 2013 seemed like the perfect time. 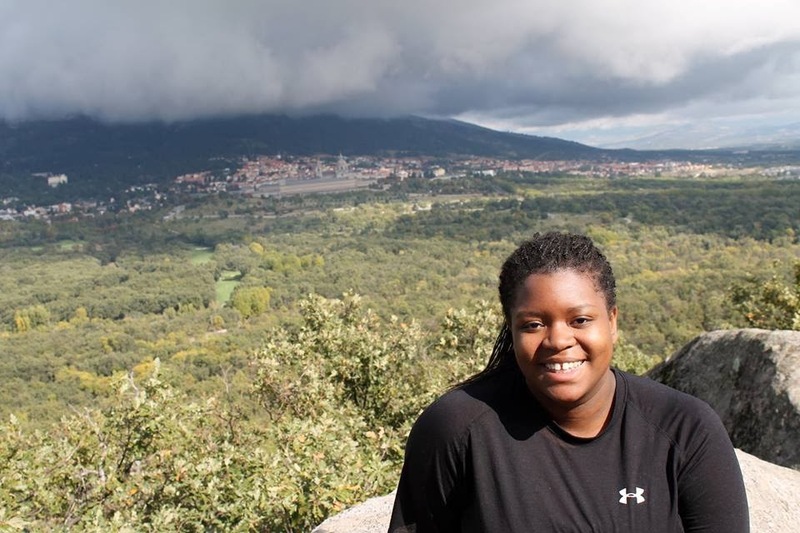 I caught the travel bug at an early age from my family and began going places with various groups beginning at age 12 when I participated in the People to People Student Ambassadors program. Over the years, I’ve spent time in 14 countries, which includes volunteer trips to Panama, and study abroad in Granada, Spain in college. I started taking Spanish early on in school as well. The language has always sounded so lovely to me; I also enjoy learning about the cultures of Spanish-speaking countries, so I stuck with it through college. After falling in love with Spain during my semester abroad, I decided to give it another go in a different Spanish city. What is your program, and why did you choose your program? 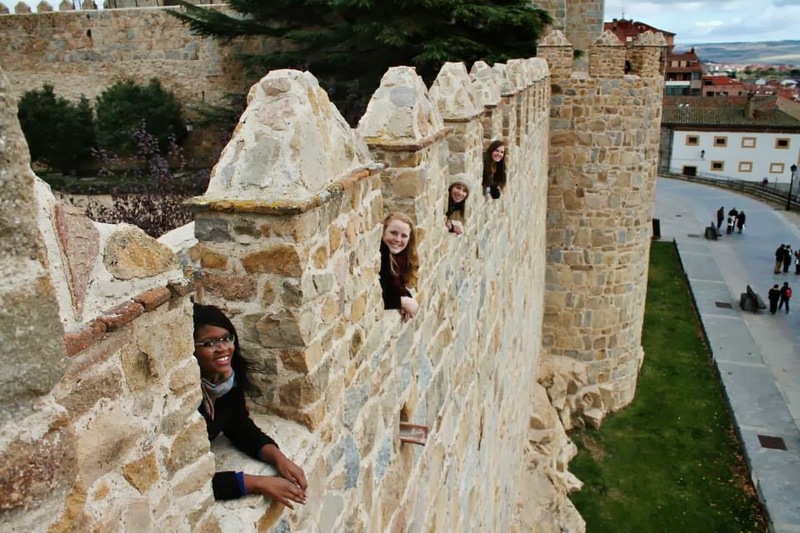 I came to Spain through the Council on International Educational Exchange (CIEE), which is a U.S.-based company that operates more than 100 study, volunteer and work abroad opportunities. To be honest, at the time that I found CIEE I did not know the Spanish government operated its own teaching assistant “auxiliar” program with no program fees. By the time I discovered this, it was really too late in the application process. Because I did not want to risk being waitlisted for a teaching position, I continued to pursue teaching through CIEE. I will say that CIEE is a well-established organization that offers nice support to its participants, so I certainly don’t regret using the organization’s services. How did you apply, and how difficult was the process? The initial application process for CIEE was pretty painless compared to what I’ve heard about other programs. All applicants have to submit a form in which you list basic biographical information, professional experience, time that you’ve lived abroad, and your understanding of the Spanish language. Applicants can also rate their top three choices for cities they would prefer to teach in. Supplements to the application include a resume, personal statement explaining why you want to be in the program, two letters of recommendation from professors or employers, as well as an official university transcript. Most importantly, however, CIEE requires a $50 application and another $1,500 program fee after you accept the position. How much do you get paid, and is it enough to live off of? I receive a monthly stipend of €1,000 (approximately $1,400) per month from my job as an “auxiliar,” and an additional €300 euros per month from two private classes I teach each week. I came into the program with more than $6,000 saved that I have allocated to travel, emergency and extra rent expenditures, which obviously helps a lot. The cost of living in Spain as a whole is very low compared to the U.S., so even €1,300, or just €1,000 a month goes pretty far. Out of the money I make each month, I spend €350 on rent, €180 (at most) on food, €54 for my metro pass, €38 on my gym membership and €15 for my cell phone plan. I also put €130 in a savings account each month, so the remaining 533 euros (along with my savings) are used for travel and leisure. As an auxiliar, I am physically in the classroom 16 hours per week, but this does not include the two hours of meetings we have each week with the other teachers, or the three hours I use each week outside of school to prepare for classes. Depending on what school you are placed in, you could have a two-hour lunch break during the day that eats into your free time as well. My private classes take about six hours per week including preparation time. How did your program prepare you? I found the CIEE program to be helpful in terms of learning about the Spanish school system, maintaining legal status after my tourist visa expired, as well as searching for an apartment. CIEE participants can easily contact a representative by email for any questions or concerns and they are quick about returning messages. CIEE offers quite a bit more support than you would get from some of the other teaching programs. I will say though that the program does not give much preparation with regards to learning how to teach. My degree in journalism was much more helpful when explaining grammatical rules to my students. Many blogs operated by expats in Madrid are very helpful for researching lesson plan ideas. What are the pros and cons of your program? The pros include many of the things I listed above. CIEE is a well-established company that provides one source for a lot of information about moving abroad, medical visits, visas, housing, etc. They expedite the process of obtaining your foreigners card (TIE) and renewing your teaching position for a second year. Lastly, something that the CIEE, BEDA and government programs all offer is a stable position with a definite income each month. As long as you go to school everyday and do your job at least halfway decently, you will get that €1,000 check. Among the program’s negative aspects are the $1,500 program fee, the lack of training in education; in my opinion, I’d be more than willing to pay $1,500 if it was providing me with more useful things such as education training or Spanish classes. Did your program live up to its expectations? The CIEE program was pretty much what I expected it to be. It proved to be a good way to meet people right when I arrived from the U.S. and I received much of the support I expected, though I would have preferred more classroom training. Personally, if I had known about the government’s separate program I might have saved myself the money because I was already acquainted with Spanish culture and had traveled abroad without family or friends many times before. That being said, this program is great for someone who would like to be eased into the concept of living abroad. CIEE won’t “do” anything for you. At the end of the day it is ultimately your responsibility to stay on top of the various things you need to do to maintain a legal status in the country; however, if you are not big scouring the Internet for different bits of information, than CIEE is great because it offers one place for everything. Program advisers are always there for questions if you need them. It is particularly great for those living abroad for the first time. What level of Spanish do you need to have to participate in this program? You really don’t need to know any Spanish to be an auxiliar in the Spanish schools. Most of the teachers prefer that you only speak to the children in English. I have personally found my background in Spanish to be invaluable when speaking to the non English-speaking teachers at my school or answering the questions of my low-level kids. It is almost impossible to teach children who barely know English without being able to meet them halfway to the language barrier. What's your favorite part about living in Spain? I just love Spain. Whether I leave at the end of June this year when my contract is up or stay until summer 2015, Spain will always and forever have a part of my heart (as cheesy as it sounds). Every region of the country is completely different and amazingly beautiful. With Madrid’s central location, it takes almost no substantial time to travel north or south of the country. I also get such an incredible rush from being able to communicate with someone in a language that is not English. Knowing that they understand me and can respond accordingly is the best feeling. Want to know more about other ways to teach in Spain? Click the corresponding photo to find more interviews like this one! Are their any programs that we didn't include? And what are your thoughts about teaching abroad? Leave a comment below! Great job guys! I'd like to see a review about the UCETAM program! Thanks Adrienne! I know nothing about the UCETAM program.. are you in it? Some teachers think the ESL teacher is someone who is there to support failing students. Others think that the ESL teacher speaks all the languages spoken by the English Language Learners. Nice and lovely decorum has been guided and situated here in Spain. It’s a beautiful country in all the way. Therefore living here as well as teaching someone in the scenic city will be very nice for sure. Apart from that how a person can involve in to this professional process flow described nicely here in the story. Great one to know. Also need to learn how to write critical essay.Thanks fro sharing the information to all.